For this video, 4-Time GRAMMY® Nominated producer, House Music Pioneer and DJ Steve “Silk” Hurley’s of S&S Chicago purpose was to showcase live remixing and live mashups that he’s been creating for years on turntables, but with the use of the technology provided by the Numark NS6ii. 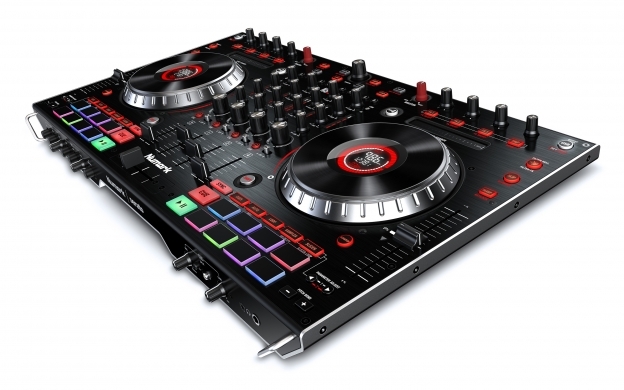 Although the use of NS6ii’s synch feature would be great for combining 4 different songs and / or textures, Silk wanted to show that even a traditional DJ can use technology in a traditional way, without synch, while still embracing certain modern features such as looping, slicing, and locating cue points very quickly, to create a new, yet human feeling experience. Silk uses the filters, EQ’s, cue points, looping features, slicer, and the large BPM displays on the jog wheels to create a traditional yet forward thinking DJ set that contains remixes and MashUps. However, these tracks are not pre-recorded (as one would think from first glance), but actually created live on the NS6ii from the original recordings, without the use of the syncing features! Hurley has created MashUps on the nationally syndicated Tom Joyner morning show to over 128 stations, and over 8 million listeners, and is now featured on www.MashupFM.com 24 hours a day. He has been called the MashUp King for a good reason. This video demonstrates how he has used his DJ setup to formulate concepts for his remixes (Michael Jackson, Madonna, Prince, CeCe Peniston, etc.) and to test his MashUp ideas for years. Now he is able to test these new ideas instantly on the NS6ii, and showcase them on the fly in his DJ sets, which are akin to a musician’s jam session!